New Orleans funk. A label that has come to be used to describe some of the music coming out of the Big Easy in the fifties and sixties. It’s a retrospective view which conveniently slots together the rhumba style of New Orleans with late sixties funk as developed by James Brown up in Cincinnati. It merged together blues plus latin strains to produce music of a distinctly laidback style which was unique to the city and its immediate environs. Its most well-known early performer – some say inventor – was Professor Longhair and his 1949 record Mardi Gras In New Orleans with its rolling piano and riffing horns, epitomises the genre. Others, like Fats Domino, used the rhumba style as part of a wider repertoire. Jesse Hill wasn’t a major name like Domino. Ace Records UK would probably call him one of the foot soldiers of rock‘n’roll but he did occupy the drum stool in Longhair’s band for a while and his immortality is assured via his solitary hit Ooh Poo Pah Doo which blasted up the US R&B Chart to #3 in 1960 and then crossed over to the very creditable position of #28 in the nation’s Pop Chart. Jeff Hannusch in the online publication Offbeat Magazine states that the record has “been covered over 100 times”. The success of the single, Jessie’s debut, pretty well ensured that the bulk of the records that followed would display similar stylistic tropes, indeed some like record #3, Scoop Scoobie Doobie, could be seen as second cousins of his own hit. It’s that approach which has caused a rather shrunken ‘ten’ for Jessie. I felt the reader’s exposure to some of the man’s more repetitive traits wouldn’t do him any favours. He was born in 1932 in the 9th Ward of New Orleans and was playing drums in his own band, the House Rockers, by the age of 19. In the fifties he worked as drummer for Longhair, as noted, and then provided the same support for Huey “Piano” Smith. By 1958, he was back with a reformed House Rockers. This time around he was the front man, on vocals and tambourine, having found a gent called John Boudreaux to sit behind the drum kit. 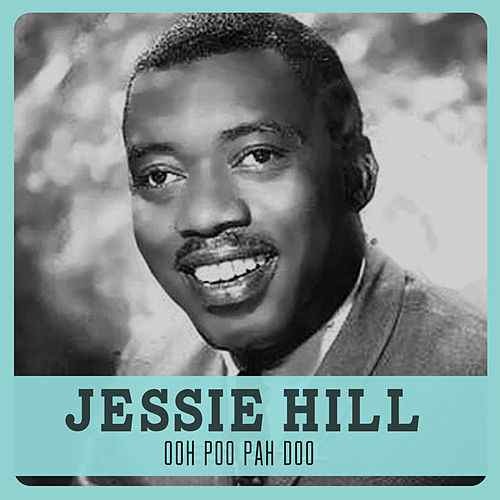 Jessie claims to have “borrowed” the vocal intro to Ooh Poo Pah Do from bandleader Dave Bartholomew though it’s not dissimilar to the call and response section between Ray Charles and the Raelettes in Part 2 of 1959’s What’d I Say, a record which also had a strong latin flavour. Would Jessie have heard that record? I wonder, but does it matter. Ray’s record didn’t evoke the Mardi Gras the way Jessie’s did. The track was recorded at Cosimo Matassa’s famous studio in December, 1959. Commentator Mickey Rat in 45cat lists the musicians as “Jessie Hill (vo, tambourine), Nat Perilliat, David Lastie (ts), Clarence Ford (bs), Allen Toussaint (p), Roy Montrell (g), Richard Payne (b), John Boudreaux (d). [Ruppli Minit discog]”. Toussaint also produced the session. 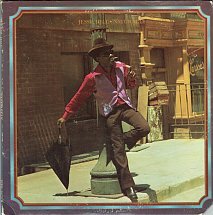 Like What’d I Say plus many later funk tracks from James Brown, the record was divided into two parts with the second being all instrumental – Jessie limited himself to encouragement. The record label was small indie Minit (which had been formed by Joe Banashak in ’59) and its release number was Minit 607 – that is, number 7 in Minit’s releases. Allen Toussaint was their house producer up to 1963 and Ooh Poo Pah Doo was his first production for the label. Jessie made seven singles in total for Minit until they let him go in 1962. Jeff Hannusch in his feature reports that “according to Banashak, Hill got mired in a rut after his initial success, and some of his sessions ended abruptly in fist fights without anything recorded”. Hence the parting of the ways one would surmise. Of the Minit records my favourite outside of Ooh Poo Pah Doo has to be Oogsey Moo which carried on the tradition of nonsense word titles though its strong point was the sublime piano work of Allen Toussaint. There are various versions/takes of this number floating around. I’ve gone for the slower cut– see below with before take chatter– though I believe this was an alternate which was discarded at the time. There was also a faster take which has its attractions, and this one also included pre-take banter including a “Swing it Allen” from Jessie. I had thought that it was this take which ended up on the single but after playing numerous YT clips and reading the comments below, I’m now not so sure. But they’re both great – as good as “Ooh Poo”, if not better. I should also mention that the “R Byrd” appearing as co-writer (with Hill) for this track was none other than Longhair using a minor variant of his proper name, Henry Roeland “Roy” Byrd. My selection number three from the Minit years, all two and a bit of them, is unusual in that it’s an instrumental for which David Lastie gets co-writer credit. It appeared on the flip of the aforementioned Scoop Scoobie Doobie. The title was Highhead Blues and I dare anyone to resist that riff coming in just after the beat. I don’t know about resisting but I couldn’t quite do without Jessie’s swansong for Minit, Can’t Get Enough (Of That Ooh Poo Pah Doo) from April ’62. No it’s not quite as good as the song from which it happily plunders, but it has that wholly delightful New Orleans groove; does one need more? Circa 1962/63, Jessie decided he’d had enough of New Orleans and travelled west to seek his fame. It’s probably not coincidental that fellow New Orleans natives, Mac Rebennack and Harold Battiste were already in LA. Jessie made it there via Houston having ridden the Greyhound with another New Orleans artist, Joe Jones. At the suggestion of Rebennack, Jessie switched to song writing and managed to supply material to several West Coast artists and labels with some success. He didn’t totally drop performing and recording, and singles appeared on the Downey and Kerwood labels in the mid sixties. In ’66 he cut a couple of more than decent singles with Shirley Goodman, who was better known as one half of the Shirley & Lee duo (and also Crescent City born and bred). Rebennack had a hand in the records but the production was from Huey P. Meaux, also known as the Crazy Cajun. The first of the pair coupled You Can’t Fight Love and Ivory Tower. Both were strongly evocative of New Orleans and I’ve made the flip a selection. The same team, that is Rebennack and Meaux, were also behind Jessie on a Chess single, My Children, My Children in ’67. In 1971, Jessie released an LP entitled Naturally. There’s probably nothing in the foregoing which could have led the reader to expect that statement. However, if his mate Mac could do it so could Jessie. Mac reinvented himself as Dr. John the Night Tripper and released an LP entitled Gris Gris in ‘68. Jessie was present on backing vocal on the album as was his erstwhile drummer “Dr.” John Boudreaux who provided the same service for Dr. John. Whether Jessie was belatedly hoping to emulate the success of Mac and find himself a totally new audience we’ll never know. Naturally sunk leaving not too many traces behind. Which is a shame because those few traces that can be found suggest that the album had more than its share of good moments even if its packaging (from label Blue Thumb) displayed typical early seventies over-the-top-ness. 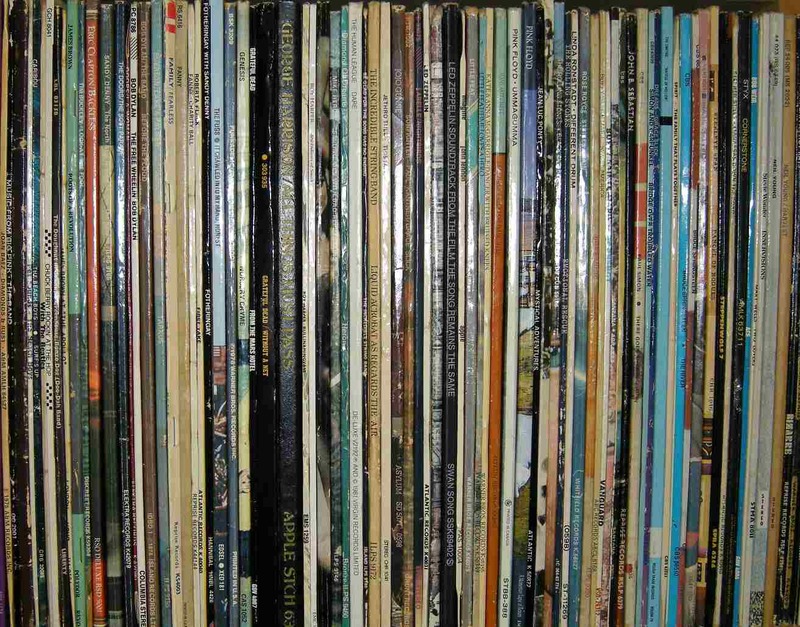 Outside of lengthy intros and outros the LP held nine tracks of which five are currently on YouTube. Based on repeated listening to these I can state that the general approach was still New Orleans funk but with arguably some influence from what one might call mainstream funk à la James Brown, and less arguably a looser, at times perhaps a deliberately sloppier attitude to implementation – maybe this was the hippy psych styling. I’ve selected two tracks which have not only stood up well to my listening but also serve to illustrate a different, even less inhibited Jessie Hill, if that was possible. I Studied Soul, a duet with Al “Shine” Robinson slows everything down to almost a snail’s pace but a parping trombone and a trumpet appear and add a dose of joie de vivre. I’ve Been Hurt is a little more poppy but still very definitely linked to NO. Once again Jessie has a vocal partner but this time she’s a lady called Della Temple about whom I’ve found next to nothing. The horns are tighter on this one but there’s still that delicious micro second delay before they hit the beat. As the seventies progressed things started to go downhill for Jessie, His spending got ahead of him so he ran up debts everywhere, and his tendency towards drinking to excess didn’t help any. He returned to New Orleans in 1977 and rented half share of an apartment from Fats Domino until Fats kicked him out due to lack of payment. For a time he worked a taxi run between NO and the airport – with his vehicle named “The Poo Cab” – but like most things with Jessie, that didn’t last. 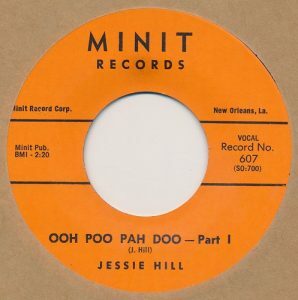 As I stated earlier, Jessie Hill wasn’t the greatest name to grace the annals of New Orleans but a combination of the “wild man from the jungle” (as John Broven referred to him) and the suave, urbane Allen Toussaint produced a few moments of magic to add to the wonderful musical legacy of that great city. 1. By far the most significant reason for the differences in music between New Orleans and elsewhere in the US was the presence of strong strains of multiple ethnicities which were far more pronounced than in other US cities. New Orleans had actually been under Spanish and French rule until its acquisition by the United States in 1803 and consequently contained many settlers from those countries. From the south the city had received wave after wave of immigration from the Caribbean. These weren’t the only ethnic strains to be found, merely the more dominant ones. This cocktail was responsible for the popularity of far more exotic syncopation than the 2/4 rhythm found in so much popular music. Minus a little modification those words appeared in the section on New Orleans in “RocknRoll”. They seemed relevant here, too. 4. Shirley Goodman was born in New Orleans in 1936. With a school friend, Leonard Lee, she made a record under the name of “Shirley & Lee” in 1952. The record was called I’m Gone and it did very nicely for the duo, attaining the position of #2 in the R&B Chart. Follow-up singles did less well until their Let The Good Times Roll positively smashed into the R&B Chart, hitting the #1 spot and crossing over to reach #20 in the Pop Chart. I should add that this Let The Good Times Roll was self-written by the pair and is unrelated to the Louis Jordan number or others with that title. Chart success tailed off again for Shirley & Lee, resulting in the duo splitting, with Shirley heading to LA where she mainly worked as a session singer. It was while she was there that she made the “Shirley & Jessie” records. In 1974, she was persuaded to cut a record by Sylvia Robinson, once of Mickey & Sylvia. That record was Shame, Shame, Shame credited to Shirley & Company. It was her best selling single, topping out at #12 in the Pop Chart. Shirley died in 2005 but not before several brief reunions with Leonard Lee, usually for one-off shows. 5. Joe Jones was another New Orleans born singer. He was also a pianist, in which role he played a support part – or so Wiki claims – on the Roy Brown record, Good Rockin’ Tonight. Joe’s real claim to fame, though, came with his 1960 record, You Talk Too Much which hit #3 on the US Pop Chart. Joe later moved on to management and music publishing. 6. Harold Battiste was also from New Orleans but he was much more of a background figure than many of the names we’ve come across. Although he was a highly competent musician and performer he’s best known as composer, arranger, producer and teacher. He was the arranger on Sam Cooke’s You Send Me, a record that shouldn’t need introducing to anyone. Later arranging successes included plenty for Sonny & Cher. In terms of production, he was the man behind Mac Rebennack/Dr. John’s Gris Gris album plus follow-ups from the good doctor. Harold also founded All-For-One (AFO) Records. Wiki has a lengthy piece on the man. 7. Alvin Robinson was yet another singer (and guitarist) from New Orleans. His only brush with the US Pop Chart came via his version of Chris Kenner’s Something You Got in 1964. However, he will possibly be better known to some UK fans for being the original performer of the song Down Home Girl which got covered by the Rolling Stones on Rolling Stones No.2. 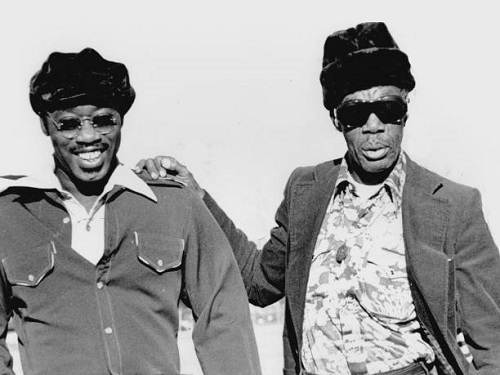 As was so often the case, Alvin was another example of the incestuous nature of NO music and musicians: Joe Jones operated as his manager and arranger for a spell, Alvin worked with Dr. John as a guitarist in the seventies appearing on several of his albums, and Alvin also recorded for Harold Battiste’s AFO label. Alvin was the Al “Shine” Robinson who appeared on a couple of tracks on Naturally. “Herlin and Joe both played drums in the Guiding Star Spiritual Church on the corner of Derbigny and Vincent street in the 9th ward. This is also where they learned, the hard way, that there was a difference between the music they could play at home, and at church. 9. Given my Mardi Gras reference earlier, I felt the clip below could be a suitable closer. Released in ’69 and produced by those good old boys Rebennack and Battiste, it features Jessie in a late sixties funk/soul groove but the arranger (Battiste) manages to sneak in a chunk of The Saints in the second break. Second break. Second line. Yes indeed! Here is one of the places where you’ll find later bands like the Meters, and the more contemporary Boukou Groove. Just superb. Thanks Dave.